I am a Durham, NC based, licensed massage therapist specializing in prenatal and postpartum bodywork along with infant, prenatal, postpartum and fertility craniosacral therapy. I came to massage therapy as a way to better assist the families I served in my doula practice, but fell in love with all forms of massage. I have been practicing as a doula and childbirth educator since 2009, and a massage therapist since 2010. 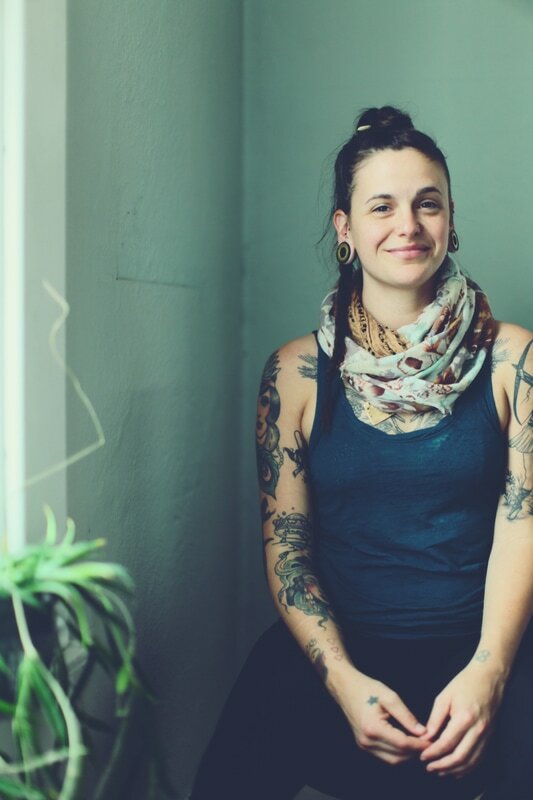 After several years practicing as a massage therapist and doula in the Piedmont, I moved to Portland, OR to pursue midwifery training. After two years learning everything I could about pregnancy, birth and postpartum, I returned to my home in the south to bring my skills to my community. I believe in the power of the body to heal itself, and greatly value my role in helping facilitate healing. As a queer femme southerner, I feel excited to share the skills that I have learned with my community.